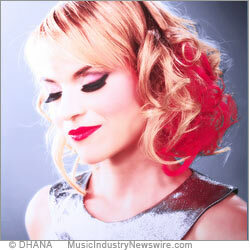 MuseWire REVIEW: “Dhana” is a European born blonde diva and lead singer of dance rock group “TaxiDoll.” In this, her first solo release, “Confessions of a Lily Rouge” (Fly Me To The Moon Music), Dhana delivers a potent concoction of electronic pop and emotive balladry, with sonic characteristics reminiscent of Dido, Tori Amos, Natalie Imbruglia and even a young Madonna to name a few that came to mind. The sound production on Confessions of a Lily Rouge is top notch and all the songs are well written, but the thing that stands out most of all is Dhana’s vocal power. Her lyrics are very touching and romantic in many instances and the expertly done accompaniment of string arrangements and the trip hop/electro backing on some tracks proves to be a very stylish and clean-cut formula and is aptly suited to her lyrical content. There are a couple of “dancey” tunes to which her voice is also perfectly suited, given her dynamic vocal range and saucy overtones. Dhana sings like she puts her heart and soul into every note and she pours out her melodies in a polished and accomplished air. Her voice is pitch perfect, it sounds very well developed, is refined and alluring and she upholds a groove and attitude equivalent to the most glamorous sirens in the business. Darker, more reflective and emotional is the description coined in her press release and after listening to some Taxi Doll songs I felt that her solo work definitely appears to be a more contemplative, self-explorative project straight from the from the heart. Personally I found the type of material found on Confessions of a Lily Rouge (in comparison to Taxi Doll), so well suited to her type of vocal energy as it appears to have provided a more profound, passionate and intimate basis for her to express herself and showcase her quite superb tone. I particularly like the enchanting, sweetly hypnotic and delicate track “Wanted,” where thoughtful arrangements of harp, strings, and an ambient and worldly electronic back beat complements Dhana’s soulful, passionate and heartfelt singing. On this E.P. Dhana exudes a longing for a higher expression of love and unity, deeply merging herself into the essence of the music and in doing so one gets the impression that if her sound is this good now, the possibilities for her future releases are immense. Overall I enjoyed hearing her pleasant and refreshing songs, they are very easy on the ear, and Dhana has a voice that you just want to keep coming back to. I would rate this record at 3.5 stars (possibly 4!) out of 5. I think that the fans of Taxi Doll would appreciate Dhana’s new direction and once available on the shelves it should be a sure thing, not only on the charts, but also in the dance scene as it seems Dhana and Taxi Doll are a bit of a remix favourite for many DJs. Find out more about Dhana and buy her E.P. 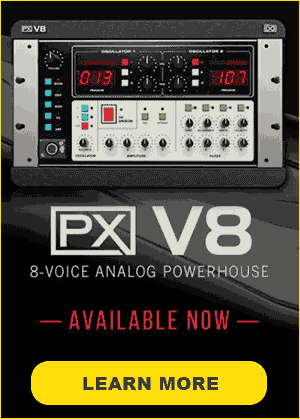 at: http://www.dhanamusic.com/ .